Helping the poorest of the poor in Columbia, South America. The Carvajal Foundation is a non-profit organization established in 1961 by Carvajal family. It is funded through its 23 percent ownership of Carvajal corporation, the owners of Norma brand. 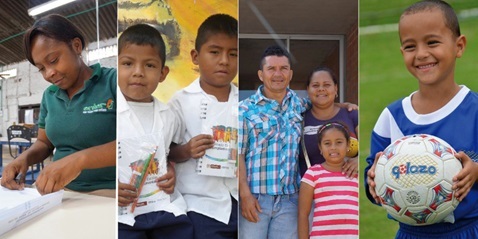 This foundation was established to help improve the quality of life in the most impoverished regions of Colombia, enabling the people in these communities to raise their standard of living. This endowment, made in life and in perpetuity, ensures the Foundation´s sustainability and drives its efforts towards a wide range of results-oriented social initiatives.